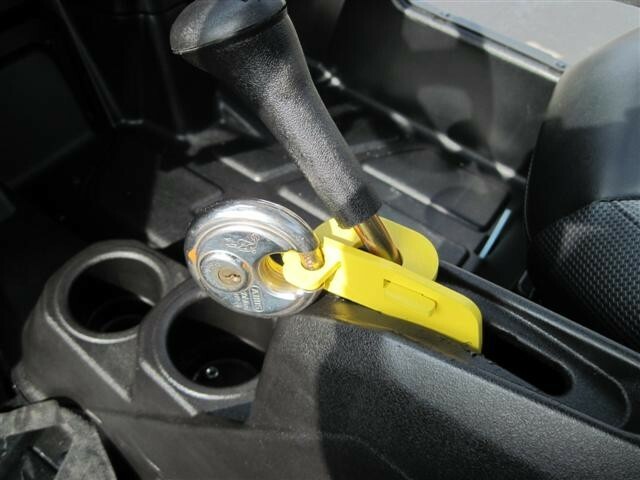 Stop your RZR from being stolen with the EMP "Anti-Theft" Shift lock. Now, you can lock your RZR in park with your own padlock of choice. Made from Stainless Steel and AISI 1040/1050 Steel and hardened by Heat Treating making it very strong. Just bolt the bracket under the sifter housing and when locked into part the housing cannot be removed. Great way to secure your RZR wherever it's parked. 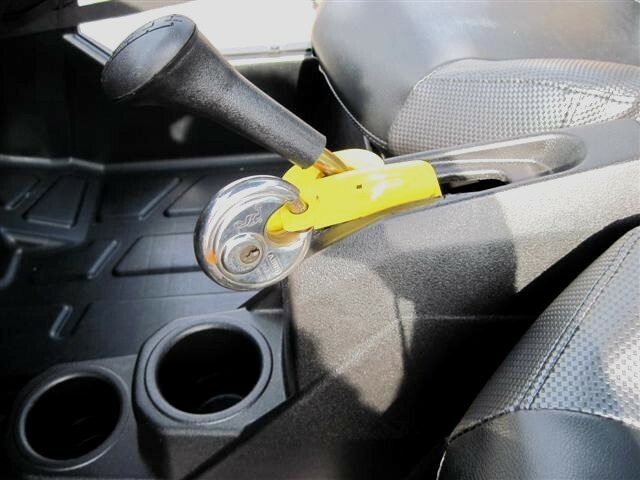 Rest assured that your vehicle is safe with this strong and durable RZR locking mechanism. Enjoy the peace of mind knowing it's safe and sound. NOTE: Picture shows powder coated yellow to help distinguish the part in the photo. Actual parts are texture black.